If you are recovering from an accidental or surgical trauma, and need rehabilitation, physiotherapy can help. These days, it is a big part of recovery after a fracture, sprain, ligament tears etc. Your range of mobility after a trauma will depend on which part of your body was hurt. The muscles that are used in that area tend to become weak and have to be exercised during the convalescent period to make sure that it doesn’t get atrophied. Joint replacement surgery has been a boon for seniors. It helps seniors who have trouble with mobility continue leading a quality life. An important part of joint surgery is physical therapy and rehabilitation. Proper rehabilitation will help ease pain and swelling and get you back on your feet faster. Whether you are recovering from a fracture or joint surgery, your rehabilitation will begin in the hospital itself where the physical therapist will encourage you to get out of bed and start moving around your room with support. They may start you on basic exercises before you leave the hospital. How to improve joint flexibility. How to make your muscles stronger. Usually, you will have to go to a hospital or care center and see a physiotherapist to do your exercises. You may have to go for physiotherapy for at least 6 to 8 weeks depending on how severe the trauma was. We give you have another option. You can arrange to have your physical therapy sessions at home. Having someone come home for tests and physiotherapy has been a boon for people who are recovering from an illness and especially for seniors. They do not have to depend on someone else to take them for the physiotherapy sessions. They can do it in the comfort of their own home. 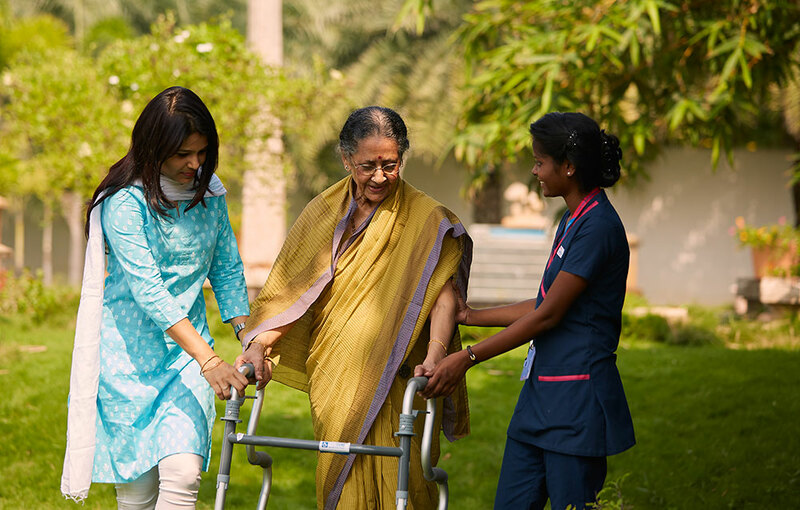 At Sirina Home Health Care Services, we have experienced physiotherapists, technicians and nursing staff who will come home to help you with your rehabilitation program. Our aim is to make recovery less stressful, and more convenient for you.